This is a lovely manga-style introduction to Tea Ceremony through the experience and anecdotes of the author. While it mainly focuses on the equipment and techniques of Tea itself it does also have a few sections dedicated to wearing kimono for Tea, how the clothing has influenced the movements used and a day out at a kimono fabric atelier. There are also lovely little snippets of random information, enclosed in a snake biting it's tail. The artist/author is a regular contributor to Nanao (七の) kimono magazine. *This is the only chapter with a focus on actual kimono. The narrator is drawn wearing kimono on and off throughout the book. I have really enjoyed the book for its candid, casual, humorous and enabling vibe. The author loves Tea, and kimono and it comes through in her text. 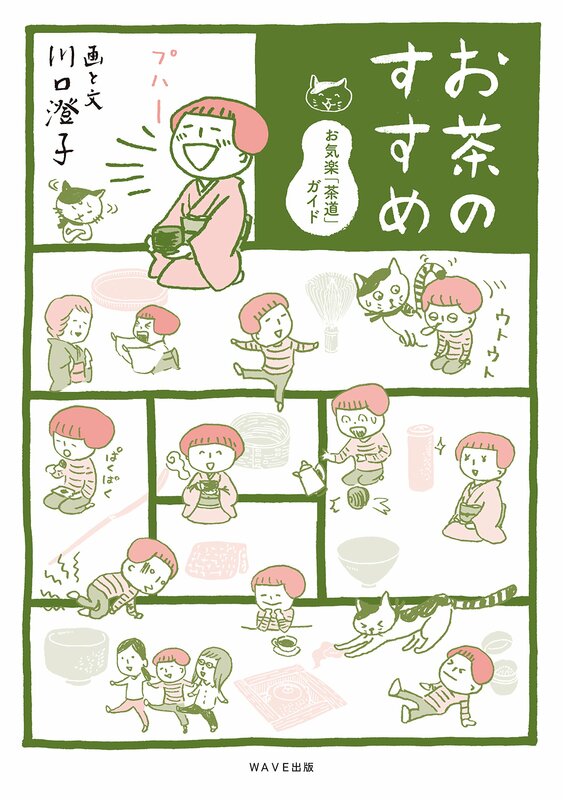 Even without any japanese you can get a gist of a lot of the meaning through the sequential comic format. I will be doing a few scanslations of the kimono and wagashi pages shortly for my own interest.